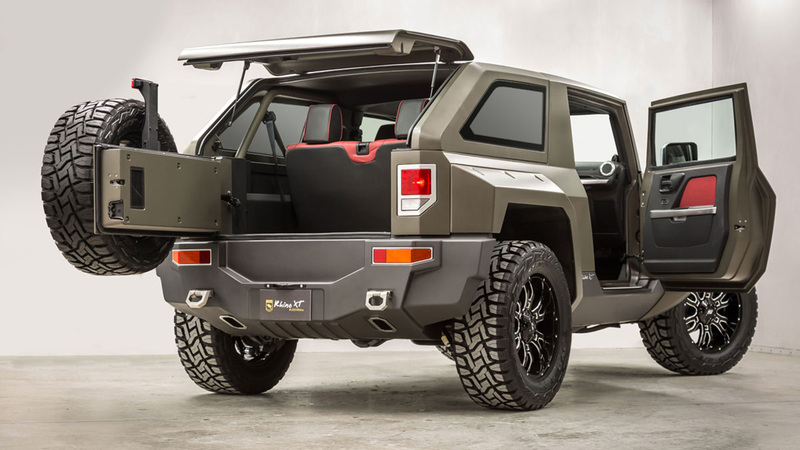 If you're a bespoke manufacturer building steel-bodied trucks and SUVs that combine ultra-luxurious interiors with an exterior that looks straight out of an apocalyptic movie set, how do you top the magic of a Jeep Wrangler frame, live axles, and a twin-screw supercharger? Sorry, time's up, because U.S. Specialty Vehicles has already figured it out—just cram a Hellcat engine in there. 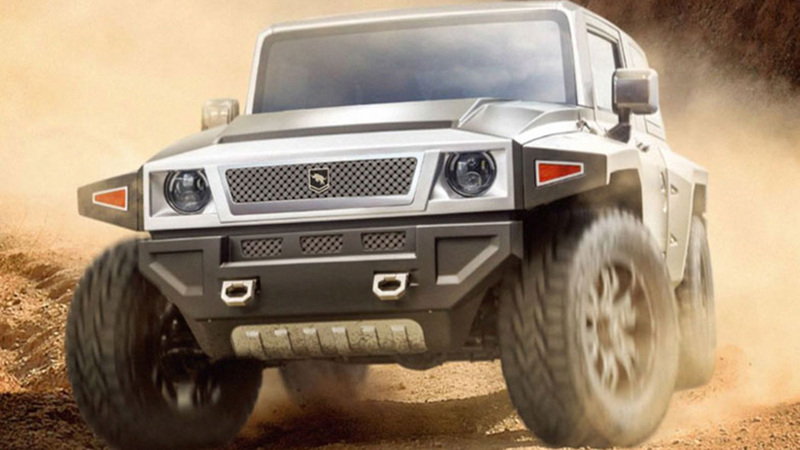 The company's new beefed-up Rhino XT may have just gotten some big exposure as Rhodes' ride in the Fate of the Furious, but as production begins in earnest, it's clear they're not content to let it rest on its laurels. USSV buys base-model 4-door Wranglers straight from Jeep and gets to work stripping them down to the frame, rebuilding and upgrading practically everything as they work their way back up. In addition to that supercharger, the Rhino XT gets upgraded structural reinforcement, differentials, suspension, and a host of other custom touches to create an all-new truck on familiar ground. 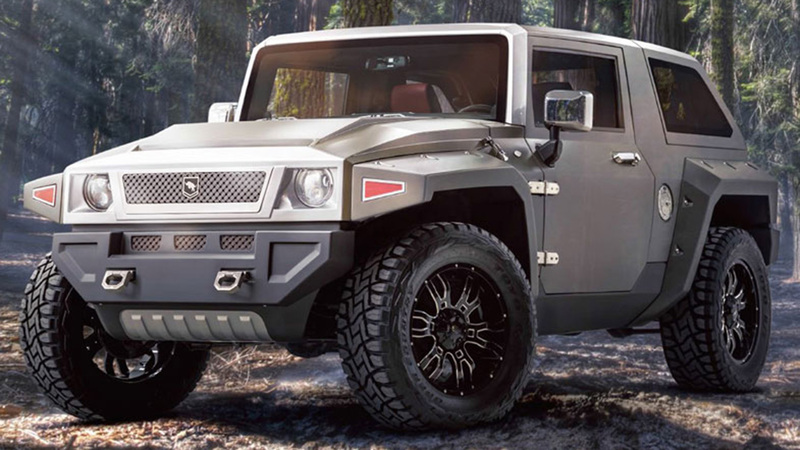 The company also rebuilds Ford F450s into the monstrous Rhino GX, a beast fit for only the most discerning warlords, but the Rhino XT is marketed more towards off-road adventurers with a lot of coin. 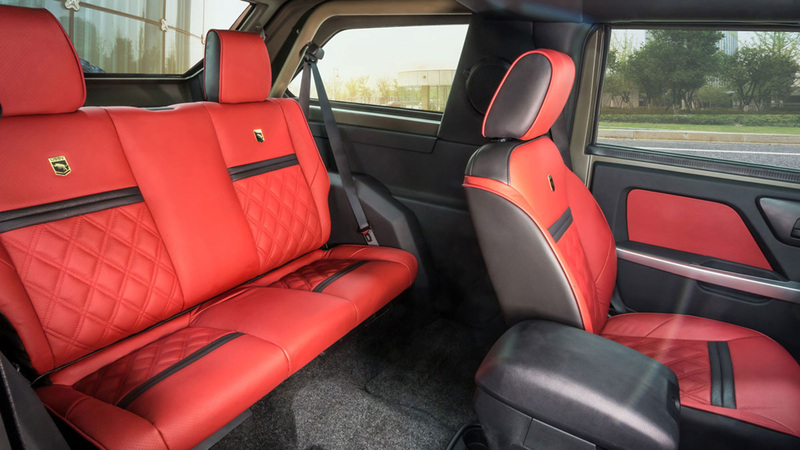 It was first shown back at the 2015 Los Angeles Auto Show, where director F. Gary Gray spotted it and immediately wanted to use it in the next Fast & Furious movie. After a couple years of development (the model shown in the movie is actually a prototype), the first deliveries are now imminent, including one to Gray himself—but perhaps that's what got USSV thinking about how they could up the "wow" factor a bit. Ditching the Pentastar V6 for the Hellcat V8 is certainly one way to go. Now, they're not the first ones to think that a Wrangler could use more horsepower than a Ferrari. Jeep teased us all last year at their annual Easter Jeep Safari when they took the wraps off the Jeep Wrangler Trailcat concept, a riot of truck with Viper seats and a chunky 6-speed gearbox that had us at hello when we drove it last year. Months later, the wonderful loons at Dakota Customs figured out how to make the dream a reality, and there was much rejoicing. So when USSV got their first order for a Hellcat Rhino XT—from an unnamed but very famous country music star, according to Fox News—they actually teamed up with Dakota Customs to supply the modified V8. It's not finished yet, but it's driveable, and USSV Client Relations Specialist Ernie Salazar told Fox News it spins the massive off-road tires with "hilarious" ease.